All eyes will turn to Memphis, Tennessee, on April 4 in remembrance of one of the most tragic events in American history. Exactly 50 years ago, the life of the nation’s greatest freedom fighter was taken by a bullet in 1968. The painstaking moment occurred while Dr. Martin Luther King Jr. stood on the second-floor balcony at the Lorraine Motel. Today, the site where the iconic activist was fatally shot has been preserved as a landmark and marks the location of the National Civil Rights Museum. In honor of his life and legacy, the museum is hosting a three-day commemoration aptly named after his final book Where Do We Go From Here? that will include a wreath-laying ceremony, remarks, and musical performances. The museum will also ring a bell situated atop a scaffold just south of the Lorraine Motel at 6:01 p.m. CT., the exact minute that King was shot. The bell will toll 39 times to honor his short life. Then, minutes later, a choir of bells in churches, universities, town halls, and other institutions around the world will reverberate across the globe, just like his words and activism. In an interview with Black Enterprise, Terri Lee Freeman, the National Civil Rights Museum president and brainchild of the tribute, spoke about the impact that King left in Memphis and how the city is keeping his legacy alive. 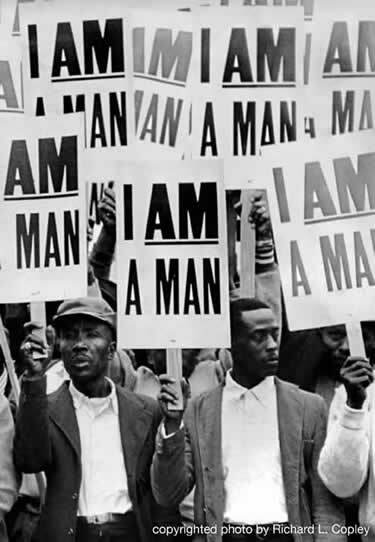 In addition to demanding equal pay, the black workers were fighting for protection. “Two sanitation workers did end up killed in a sanitation truck,” Freeman said. Along with fighting for racial equality and workers’ rights, King was dedicated to eradicating poverty. “In fact, in his book, Where Do We Go From Here?, he talked about a guaranteed wage for people so that no one would have to live in poverty in a country as wealthy as the United States of America. And this is back in 1968,” said Freeman. The civil rights leader acknowledged the legal and political gains that had been made, but he remained frustrated at the lack of economic progress for people of color. “We could all sit at a lunch counter together and order, “but he said what good does it make if you can sit at a lunch counter, if you can’t afford to buy hamburgers?” said Freeman. Reflecting on King’s dream and legacy, Freeman admits that while some elements in society have changed, the playing field between blacks and whites if far from even. Last month, the museum and the University of Memphis released a report that tracks poverty in Shelby County (which contains Memphis) in the decades following King’s assassination. The results? The findings proved that “progress has been made over the last 50 years, but not enough,” said Freeman. According to the research, 48% of African American children in Shelby County live in poverty. That’s more than four times greater than the childhood poverty rate for white kids in the area. Meanwhile, the median income for black Americans has remained at roughly half that of whites for the last 50 years. Furthermore, the incarceration rate for African Americans has increased 50% since 1980, while the rate for whites has dropped. “Now we have the data, what do we need to do to bridge that gap?” Freeman asked rhetorically. She went on to stress the importance for the museum to use the data to provide a platform for activist organizations to take action. “I see the museum really as playing the role of not just a place where people come and look at the history and learn the stories and better understand what the true episodes of the Civil Rights Era movement were, but to now come here and actually make history. We do a lot of public programming that allows us to present thought leaders all throughout the year on different topics.” Her goal is to get visitors to interact with the museum at a very practical level.